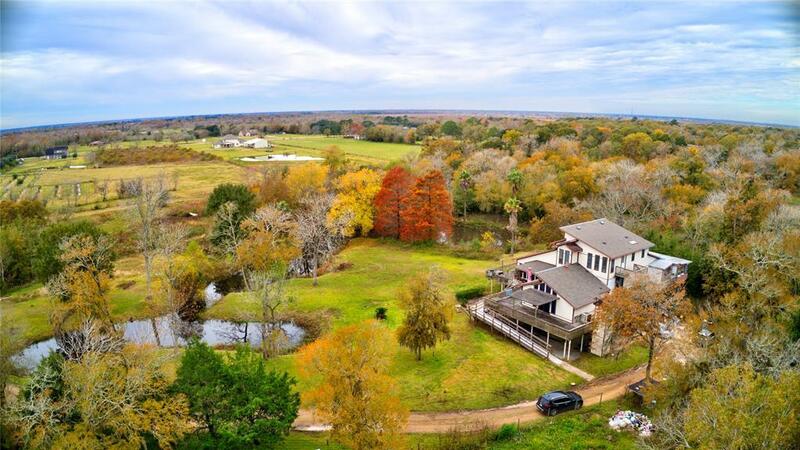 Property is unique, has lots to offer AND holds so much more potential! 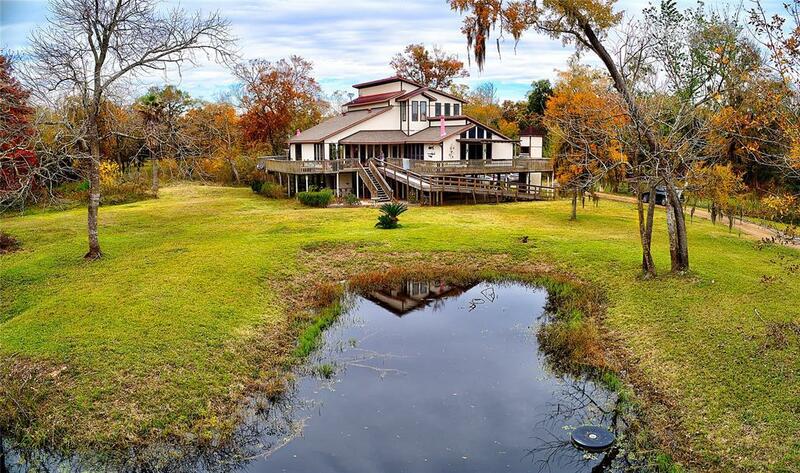 Home is built on 9' stilts, has 3 ponds & includes 5 acres! Waters did not enter home during recent flood only underneath. 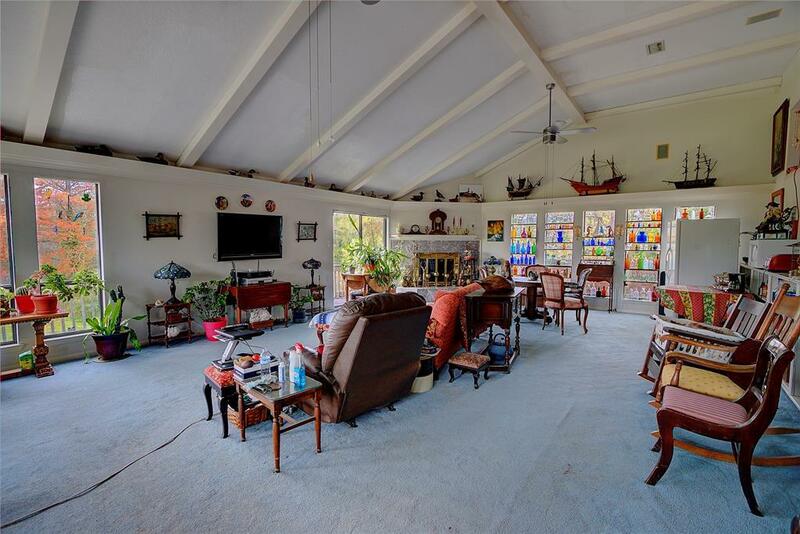 Main living room is plenty spacious with numerous windows on all 3 sides overlooking wrap around decked patio, ponds, driveway entrance & overall private property in general. 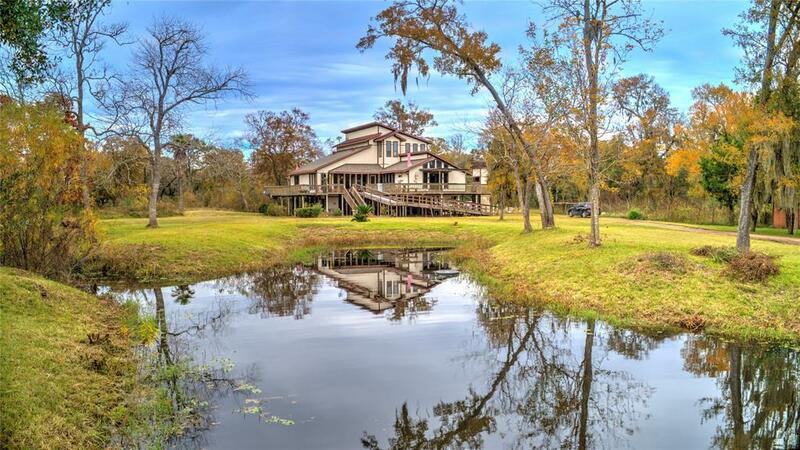 Property is surrounded by wooded acreage. Horses are allowed. Den which can also be used as a study or formal dining includes built in shelves & cabinets. Over sized kitchen offers a huge island with seating on 3 sides, ceiling sunlight windows & tons of counter & cabinet space including a coffee bar &/or desk area! Utility room provides a sink, counter & more cabinets. Upstairs is a private 1 bed apartment with a kitchen, living room, bedroom & full bathroom that would be perfect for your teenager or mother-in-law. Just imagine all the more that you could transform with all that this home currently provides! Priceless!